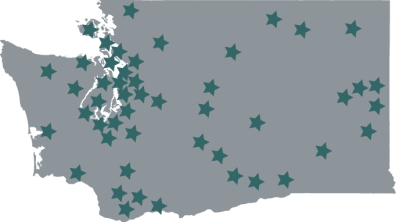 Stars represent where supportive legislators reside. The bill in the House already has 60 co-signers, while the bill in the Senate has 17. This is tremendous support for WSU and the rural areas that are underserved. A contingent of WSU and WSU Spokane representatives are in Olympia this week with a group of about 100 business, education and community leaders from the greater Spokane area, part of the Greater Spokane Incorporated Olympia Fly-In. The WSU reps have heard from a number of lawmaker and will continue to do so throughout the week, and there is great support from lawmakers the group has met with. There are still a number of steps to take. The House bill will go before the House Higher Education Committee on Jan. 27. The $2.5 million in startup funds still needs to be included in the final operating budget out of Olympia. 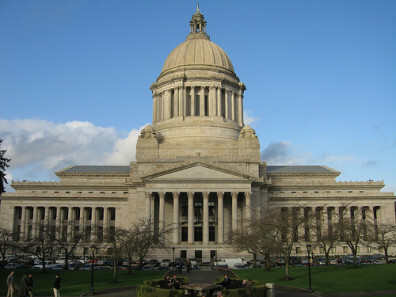 The legislative session in Olympia is scheduled to finish by the end of April. There is, as always, the possibility that lawmakers could go into a special session beyond that April end date. Stay tuned, as this issue will continue to gain traction. In the meantime, find out why a WSU medical school is needed in the greater Spokane region.